Gloucestershire Logistics. With the additional option of a one or two man delivery team. Over the past 5 years Specialist Lifting Solutions has developed a unique and well respected position in the field of logistics. We offer tailor made logistic solutions based around your business model, using our in-depth knowledge of the fundamental strategies and systems that underpin and drive successful logistics operations. This wealth of practical experience, coupled with a sound understanding of the wider business context, familiarity with the logistics market place, and direct involvement in a broad cross-section of industry sectors, gives us a clear advantage when making proposals and recommendations to clients. For peace of mind for logistical solutions, we will also provide you with instant confirmation of collection and delivery as it happens via telephone or email. Our door to door courier service can also provide you with a hard copy proof of delivery via fax, post or email. 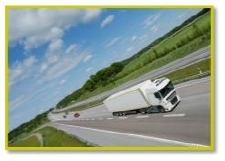 Alternatively, if you require a dedicated collection and delivery vehicle service then you have come to the right place. We can deliver your package whether large or small, light or heavy directly to its recipient without being offloaded to intermediaries along the way. As a specialist in lifting we can offer a courier service that outperforms all expectations, whatever the package. If you are a large corporation or a smaller business that is looking for a reliable logistical solution then look no further. Let Specialist Lifting Solutions provide the solution to your logistics needs. Specialist Lifting Solutions Lift and Shift Service.